The act of propelling a wheelchair is related to manual wheelchairs that can be self-propelled by the user, or they can be pushed by a companion or caregiver. To self-propel, the user must place their hands against the wheelchair hand rims. This will be the component used on both sides of the chair to be able to push or pull the chair as the user sees fit. You can propel yourself going forward or backward to be able to avoid obstacles and uneven ground. To learn to propel a wheelchair you must practice this skill as you would with any other skill that you want to get good at. Practice makes perfect when you are trying to learn how to propel yourself without the assistance of another individual. There are some type of hand rims that allow the user to propel themselves without harming their fingers or hands. Ergonomic hand rims allow the user to propel the chair while avoiding blisters or pressure sores to develop on their extremities with long-term use. In order for a wheelchair user to self-propel they must learn how to control the wheelchair so that they may do so the right way while they are outdoors when it is imperative to know your chair. At first, most people that are new to wheelchairs have a hard time adjusting to propulsion of a chair. Over time, the user will develop upper arm strength and better balance that will help propel the chair easier. Some users have trouble using hand rims on the rear wheels of their wheelchair. This depends on the condition that they currently suffer from. 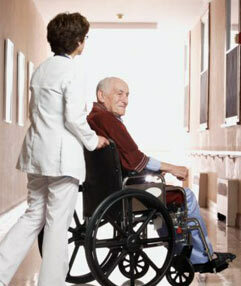 In the case that the patient cannot propel themselves, they will require a caregiver to push them indoors and outdoors. Propelling a wheelchair outdoors is different than propelling it indoors. There is a big chance that you will encounter uneven ground while traveling. To avoid falling from the chair when going over bumps or obstacles, the user must make sure that they have the correct components to be able to reach higher ground and avoid obstacles. Our Wheelchair Product Catalog can help you in finding the right propelling wheelchair, it provides information in a live catalog format, which lets you sift through pages and also includes a category index, in case that you are looking for a specific type of product. If you have any questions regarding propelling wheelchair be sure to check out our Frequently Asked Questions page, which includes the most popular and consistently asked questions by our distributors and also consumers. If you would like to watch our product videos about propelling wheelchair on your computer, you can visit our youtube channel - http://www.youtube.com/karmanhealthcare where you can find videos about all of our products including lightweight wheelchairs, ergonomic wheelchairs, standing wheelchairs, and many more. People spend a great deal of time searching for propelling wheelchair what comes to mind is usually comfort, pricing, and daily needs. We provide a large variety of manual and electric wheelchairs, wheelchair accessories and replacement parts. We also provide other medical equipment that is used for other daily needs. If you would like to receive more information and monthly updates regarding propelling wheelchair please subscribe to our newsletter, we do not hassle you frequently with our newsletters, we do it in a timely manner.